Trauma Aware Yoga combines ancient wisdom practices with a western scientific understanding of stress, and has emerged from Hatha Yoga. Through mindfulness, the intention to cultivate a kind and gentle awareness of body sensations and feelings provides a foundation for the practice of Trauma Aware Yoga. 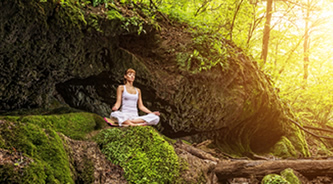 This practice encourages the connection and transformation of the vital relationship between mind, body and heart to support wellbeing and promotes the active cultivation of the innate wisdom of the body as a pathway for growth and healing. Gentle postures and the conscious connection of mind and body through the breath, form the development of new ways to compassionately relate to stress, pain, tension, trauma and chronic illness.